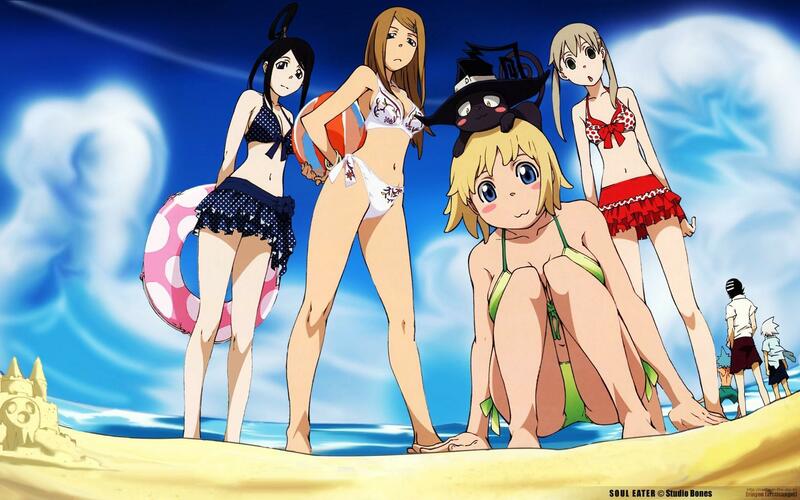 пляж, пляжный. . HD Wallpaper and background images in the Soul Eater (Пожиратель душ) club tagged: soul eater black star death the kid blair liz eruka frog maka albarn tsubaki patty beach.